This feature tracks added or deleted repositories from a remote GitLab server (EE/CE) and automatically imports those Git repository references into Jira. GitLab v10+ stopped accepting username/password credentials for API access and will only recognize Personal Access Tokens (PAT) and OAuth authentications. 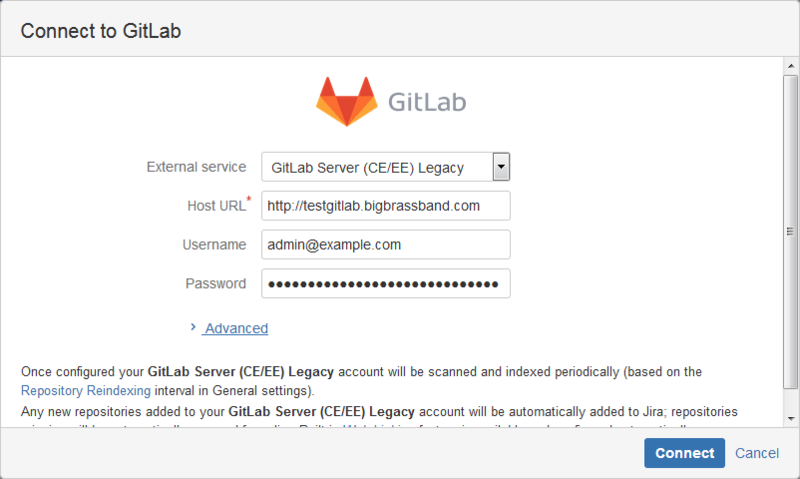 Service users are strongly advised to switch from using username/password for newer versions of GitLab Server (CE/EE) to using Personal Access Tokens. For GitLab Server service users, they won't see the issue until they upgrade their GitLab Servers to version 10 and higher. Git Integration for Jira app offers pre-v10 GitLab Server service users as a Legacy connection option. 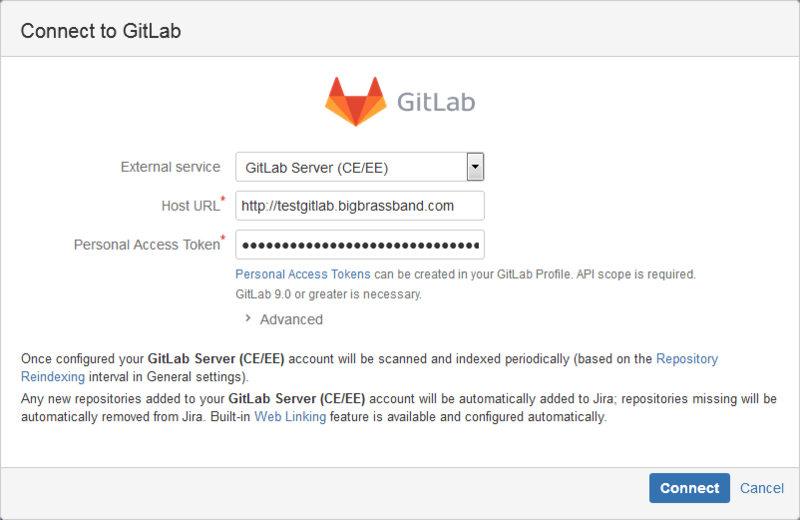 BigBrassBand recommends a dedicated service user for this integration which has access permissions to the GitLab git repositories. On the Jira Cloud dashboard menu, go to Git > Manage Git Repositories. The Advanced option is only available for GitLab Servers in Jira Cloud. Click Advanced to expand the option to enter the query string parameters. This setting is used with integration to retrieve list of tracked repositories. Set a filter that will only load some cloned repositories which can be viewed via Actions > Show tracked repositories in the Manage git repositories configuration screen. On the following screens, import detected repositories then configure repository settings if required to complete the import process. Currently the Git app scans only the repositories visible to the user which is used for scanning. The repositories which are publicly visible (shared for all members or visible to the member with the admin rights) will not be scanned. This will be supported in a future release. Repositories added or removed from GitLab server will be likewise added or removed from Jira Cloud. This process requires an existing GitLab server git repository. 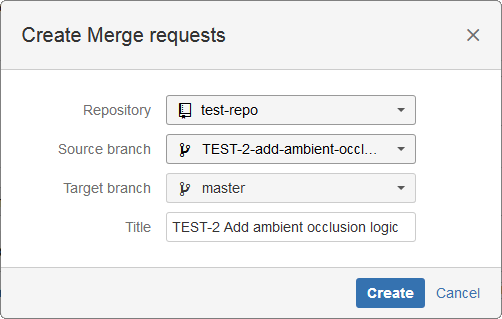 For starters, the GitLab server repository URL can be acquired on the repository project page. Choose between SSH or HTTPS. Use this information to connect the GitLab server git repository to your Jira server via Git Integration for Jira app: Manage Git Repositories > Connect to Git Repository. 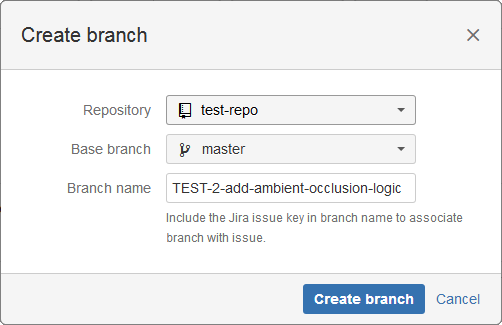 The Git Integration for Jira app automatically configures GitLab Server repositories.